The following article came from an online post by the Ottawa Citizen. We included it here so that more readers would see this information and maybe it would also be the trigger for more people to think about reducing their electrical usage and reduce their electrical costs. With these increases that are planned, because of mismanagement at Ontario Hydro, there is no doubt in our minds that rates are going up. Unfortunately the only thing that the average Ontario resident can do is to vote the liberals out of office and reduce the amount of electricity they use. Please refer to our next post for ideas on how to reduce your electrical costs. Again in 2013, two years later we are experiencing another annual increase in the cost of our electricity in the province of Ontario. 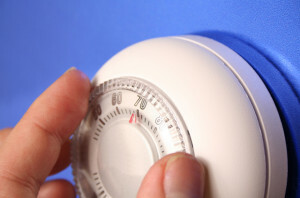 OTTAWA — Ottawa residents can expect their electricity bills to soar by more than 40 per cent by 2015, according to an analysis filed with the Ontario Energy Board. The report, done for Canadian Manufacturers and Exporters (CME) by Aegent Energy Advisors, tallies up anticipated hydro cost increases from a dozen different sources between now and early 2015. It concludes that Ontario residents and businesses will pay a total of $7.7 billion more for electricity over the next five years. The Citizen used the CME analysis to calculate how much Ottawa residents could be paying for electricity by 2015. The average residential customer in Ottawa now pays about $117 a month, including HST, for 800 kilowatt hours of electricity. If the CME’s calculations are correct, that will rise by nearly $49 to about $166 a month by 2015. That’s an additional $587 a year — an increase of 41.8 per cent over current costs. Residential customers in Ottawa are already paying 17.7 per cent more for electricity than they were just this spring, thanks to rate hikes approved May 1 by the OEB and the imposition of the HST July 1. The CME isn’t the only body raising the alarm over soaring electricity costs. In an analysis posted to his blog Tuesday, Energy consultant Tom Adams predicts that by October 2011, Ontario’s residential power price “will blow past the 200-per-cent mark” relative to the price consumers paid when Dalton McGuinty’s Liberals took office in 2003. In an interview with the Citizen last month, Ontario Energy Minister Brad Duguid acknowledged that electricity rates will continue to rise to pay for the province’s “critical investments” in clean and reliable power. However, Duguid wouldn’t estimate how large the increases will be because the Ontario Power Authority is still working on a long-term energy plan, expected this fall. The CME analysis contains even worse news for businesses, institutions and other non-residential customers. It projects their electricity costs could jump by between 47.1 and 63.7 per cent by 2015. That could have dire consequences for Ontario manufacturers that use a lot of electricity, CME officials warn. While energy represents just two to three per cent of manufacturing costs overall, that can rise to as much as 30 per cent for the steel, chemical and refinery industries, said Paul Clipsham, CME’s director of policy and business intelligence. “For some, it could potentially be unmanageable,” he said. The CME filed its analysis with the energy board in response to an application by Hydro One, which operates Ontario’s high-voltage transmission lines, for rate increases of 15.7 per cent in 2011 and 9.8 per cent in 2012. It argues the OEB should consider the application in conjunction with all the other factors that are jacking up electricity bills. Foremost among them, it says, is the government’s Feed-in Tariff (FIT) program, which offers generous 20-year contracts to producers of solar, wind and other forms of green energy. The CME report assumes 10,500 megawatts of pricey FIT generation will be on line by July 2015. Based on that, it says the FIT program will be responsible for about half its predicted $54.15 per megawatt hour increase in electricity costs by early 2015. One megawatt hour is equal to 1,000 kilowatt hours. Increases in transmission and distribution rates will account for further one quarter of the projected increase, the CME report says. A medley of other factors — everything from the cost of power from restarted units at the Bruce nuclear generating station to rate increases for Ontario Power Generation — makes up the balance. Including HST, these various elements will drive up residential rates by $61.19 per megawatt hour by 2015, CME’s analysis concludes. Clipsham said CME asked Aegent to do the analysis so the OEB, which deals with numerous requests for incremental rate increases, could see Hydro One’s latest submission in full context. He said CME hopes the energy board will take steps to mitigate the impact of the rate increases it foresees. “Our grand vision would be that the government would also acknowledge these findings and use them for their own purposes,” he said. it is really scary for someone on a fixed income when you hear about rates going up so much for things like electricity. my pension will not go up by 40% over the next few years. I will be lucky to get 5%, so what is a person supposed to do?